Classic adaptation of James M. Cain's hardboiled noir novel by director Billy Wilder and writer Raymond Chandler. Insurance salesman Walter Neff (Fred MacMurray) calls at the house of femme fatale Phyllis Dietrichson (Barbara Stanwyck) in order to renew her husband's insurance policy. 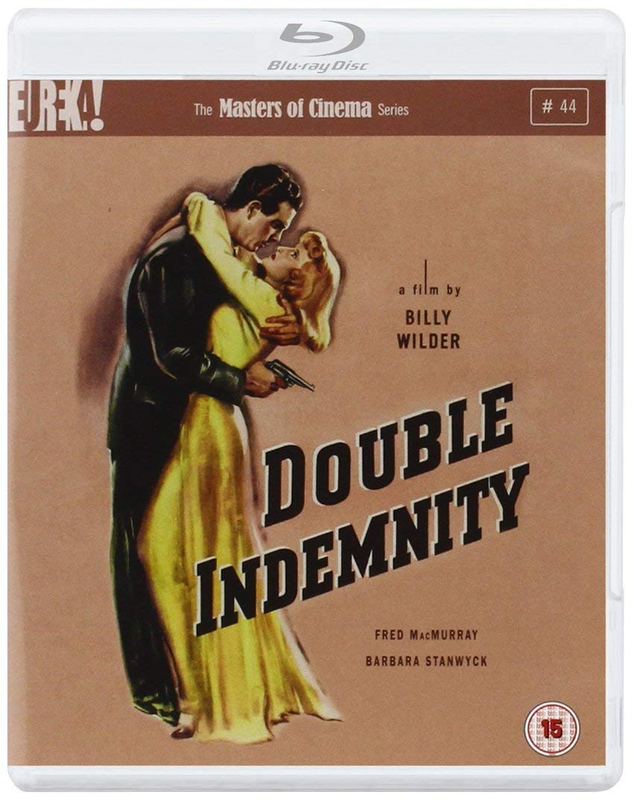 An immediate attraction sparks between the two, and gradually Phyllis seduces Walter into conspiring with her to murder her husband, now provided with a double indemnity insurance clause. The murder is carried out as planned, but the couple then find themselves growing increasingly suspicious of each other as they get closer to collecting the money. When Walter's boss, relentless investigator Barton Keyes (Edward G. Robinson), starts to look into the policy, Walter and Phyllis' steely resolve begins to falter.